This sketchbook will be one of, if not the primary source for sculpting the figure. 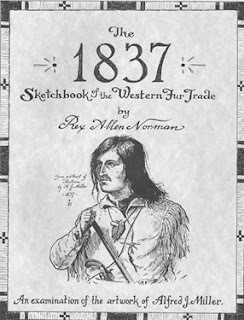 The reason being is that the author has translated Miller's paintings into a series of sections illustrated with line drawings covering every facet of the trapper's dress and equipment that can be seen in the paintings. This will save a lot of time as the research I would need (and find important) to do taken care of already.